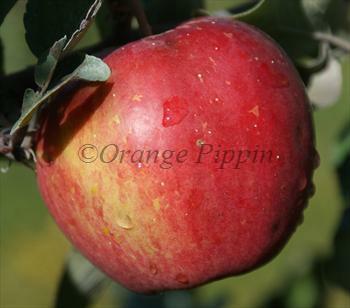 Sweet Sixteen is one of the best apple varieties for the north country - when grown on suitable rootstocks it is a reliable cropper in zone 4 and even zone 3. Sweet Sixteen inherits its cold-hardiness from both its parents. Northern Spy is a well-known cold-hardy apple, and it is also descended from a more obscure north country variety called Malinda. The bright red apples have a high quality, fruity flavor, primarily sweet but with some acidity and complexity. They keep fairly well in natural cold storage or a fridge. Fill in the details below and we will let you know when Sweet Sixteen apple trees are back in stock. Sweet Sixteen is an easy variety to grow and very cold-hardy. It has reasonable resistance to scab, fireblight and cedar apple rust, and is naturally vigorous. It comes into bearing within a few years. Sweet 16 was developed by the University of Minnesota in the 1970s. It is descended from Northern Spy crossed with a seedling of Malinda.